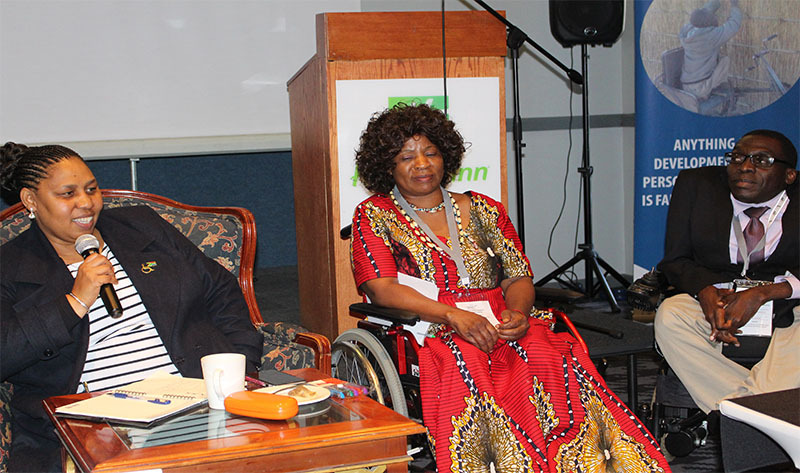 Ms. Hendrietta Ipeleng Bogopane-Zulu, Deputy Minister for Social Development of the republic of South Africa, was among the distinguished guests at the Regional Disability Round Table Forum. She had been invited to become the Guest of Honour to officially open the event. Due to other unforeseen commitments beyond her control, she was not able to come on the opening day. However, due to her passion for disability issues, she managed to avail herself on the second day of the event. For the first time in a long time, this forum has given me the opportunity to re-unite with my old friends across the region. I'm so excited to to meet, once again, activists like Mr. Joshua Malinga, Mrs. Rachel Kachaje, Mr. Kudakwashe Dube, and I can as well see many others. In her address, she acknowledged SAFOD’s commitment to mainstreaming disability in the region, in particular for choosing South Africa to host the event which, she said, was an honour her office and the entire ministry. She noted that the fact that SAFOD has invited her to become a Guest of Honour was an encouraging gesture and vote of confidence for the work that she and her ministry were doing to advance the rights of persons with disabilities not only in South Africa but across the region as well. She recalled that the struggle for liberation of persons with disabilities began from the apartheid era when their rights were not recognised. She actively participated in the struggle during those days, fought for her rights and those of others even after she became minister. She, therefore, described the event as one of her most extraordinary moments, as it brought fond memories of her activism when the disability movement was just beginning to grow a couple of decades ago. She noted that the forum had, for the first time in a long time, re-united with old folks across the region, and expressed her excitement to have met, once again, activists like Mr. Joshua Malinga, Mrs. Rachel Kachaje, Mr. Kudakwashe Dube, and several others. In this context, she felt the theme for the event was perfectly befitting as she argued it was indeed high time the disability sector needed to reflect on the gains and challenges. She, however, expressed her disappointment that since the struggles of South Africa veterans such as the late Mr. Friday Mavuso in South Africa, a high number of persons with disabilities in the country and across the region were still economically disempowered, living in abject conditions. While some positive strides were being made by some Governments at policy level to try to address some of the challenges, the battle was far from being own. The forum, therefore, could not have come at a better moment. She, therefore, urged the participants to critically reflect on the challenges, to explore sustainable solutions that could help Governments and other stakeholders to come up with tangible interventions that focus on empowering persons with disabilities in the region economically and socially. She expressed interest to continue collaborating with SAFOD at regional level, and promised to meet SAFOD at a separate meeting in due course to explore more ways of collaborating with her ministry. Sponsorship opportunities for the 2020 Round Table Forum are already available, and interested sponsors can send inquiries now. 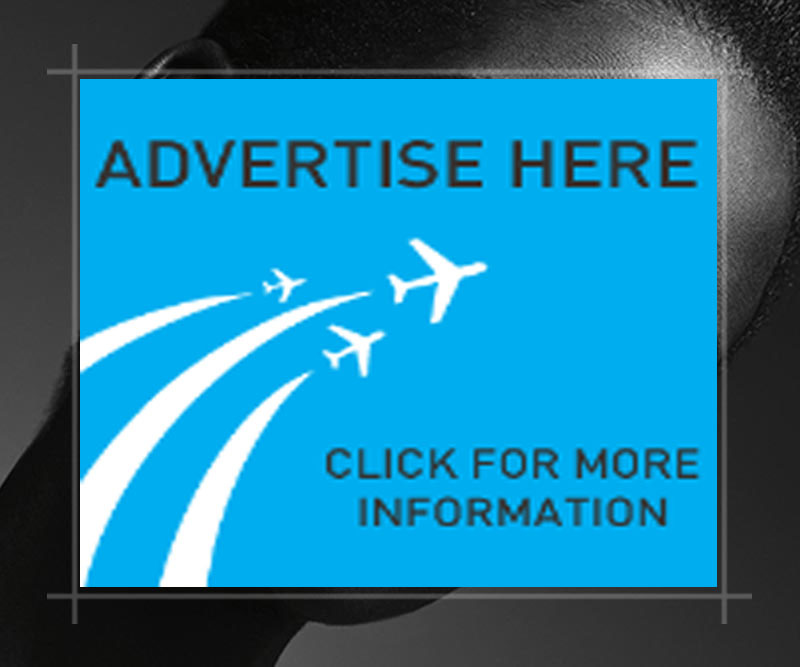 Even individual sponsorships are also available. Contact us Now! We invite our affiliates, our strategic partners, and all other stakeholders to support the next forum in 2020 in any way that you deem feasible, including contributing your ideas, proposing any thematic issues that you feel should form part of the agenda, and where possible contributing any financial or material resources. Contact us Now!.